Join us for this showcase of new work from One World Media’s 2016 grantees. A series of untold stories from the developing world produced and directed by young talent supported by the One World Media Production Fund. This film is an intimate portrait, observing the day to day existence of the villagers who live and breathe the deadly side effects of global mass consumerism in Qian’an, a town 100 miles outside of Beijing. Qian’an is a place populated by resilient characters at the hard edge of the consuming west and the producing east, yet they remain under-represented. 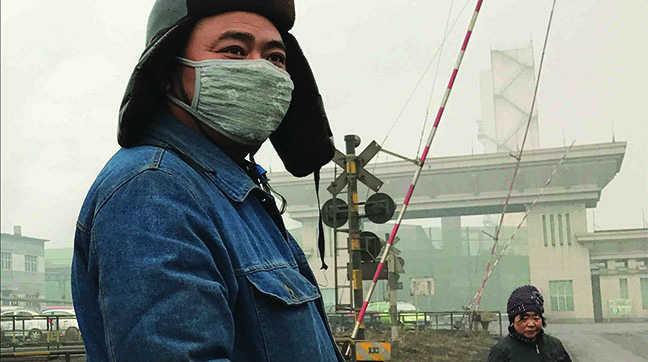 The film explores the costs behind China’s economic growth through the daily lives of Qian’an’s remaining residents, an existence where humour still shines through even when hope has died. This film tells the story of a closeted transgender from Udaipur, who “longs to meet a prince”. Forced into an arranged marriage with three kids, Radheshyaam has been repressed into the role of husband and provider, yet, through dance has found a safe way to explore femininity. Male Rickshaw driver by day, female dancer by night; Radheshyaam's life is compartmentalised. This film explores the struggles to be true to oneself. Yi Wu, a city close to the east coast of China, encourages migrants to come to the city to boost its economy. Some 70% of its population are migrants – most are Chinese, but many are from war-ravaged countries such as Yemen, Iraq and Syria. This film tells the stories of three middle-eastern migrants, their challenges and ambitions as they start ‘Living the Chinese Dream’. PLEASE NOTE: THE TIME OF THIS SCREENING HAS CHANGED TO 8.30PM.